The BART Board of Directors on Thursday approved a $267 million earthquake retrofit project that ensures riders aren’t trapped under the bay if a catastrophic earthquake hits. The project also is sure to test riders' patience, with delays and, at times, no trains at all for the duration of the work on the Transbay Tube, which sees more than 27,300 riders pass through it in each morning commute, BART reports. Transit officials say the work inside the 3.6-mile concrete tube could take two years. "We need to put steel plates inside the tube, and not only that, but increase the pumping system we have in there to make it better and more powerful," BART spokeswoman Alicia Trost said. For some commuters, riding BART is rarely easy. "There is always a problem. Like once every two or three weeks, there is some delay," commuter Katie Levine said. "You are like stuck on it. Just get used to it." It likely will be getting much worse when the work begins, especially for early morning commuters like Gloria Lathen. 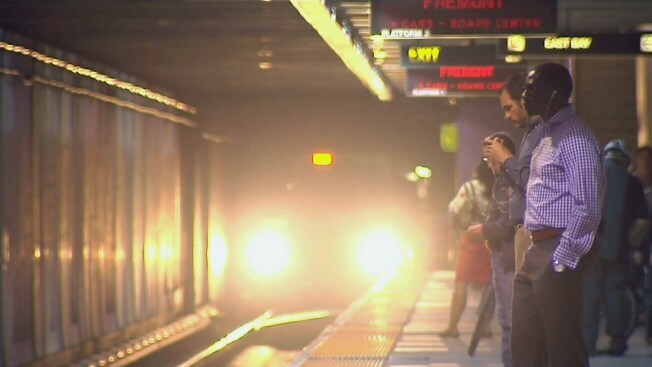 "Well, I am not happy about that because the job I applied for is going to be different hours," said Lathen, who is one of the nearly 3,000 passengers who use the system to get in or out of San Francisco between 3:45 and 4:45 a.m.
During the Transbay Tube retrofit, trains will be running after 5 a.m. instead of 4 a.m. And after 9:30 a.m., only one track will be available, meaning delays. "Great. For two years?" commuter Greg Dube said. The earthquake retrofits also include the Coliseum and Fruitvale BART stations in the East Bay. BART director Joel Keller, who represents the area around the Pittsburg/Bay Point station, said the BART-riding population in his district, according to statistics, is mostly minority, low-income residents, and the impact on them should be addressed. Keller wants to make sure riders who depend on the system the most are not left stranded, especially at a time when BART has had so many issues. "You know, this has not been our finest year," he said. "People have been critical of the district. We have a lot of work to do to regain that trust." BART said it will be exploring options such as an express bus to bridge the gap for those early morning commuters. Funding for the retrofit project mostly comes from general obligation bonds issued by BART, according to a staff report. The bonds were approved by voters in San Francisco, Contra Costa and Alameda counties in 2004. Work begins in the summer of 2018.